The miner said that 38,913 carats were sold for $7.6 million, at an average price per carat of $195. 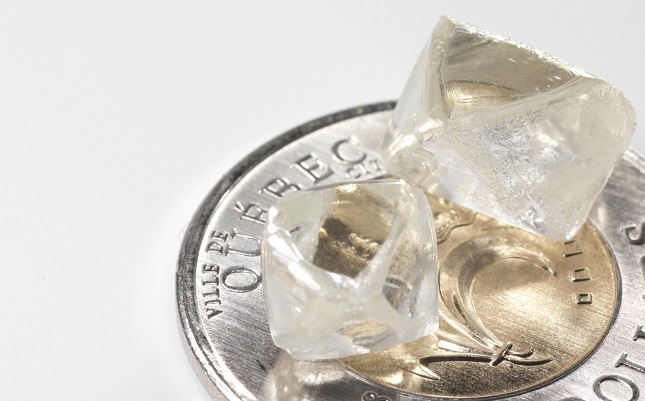 Stornoway President and CEO Matt Manson said, “The diamonds sold in this first sale represent a portion of our production recovered during the initial commissioning and ramp-up of the Renard project during August and September. We saw strong interest in our product assortment, with 153 diamantaires attending the tender. Pricing met or was close to our expectations on most items. "Recent events in India surrounding demonetization has impacted pricing and demand for certain smaller and lower quality items and, as a result, a quantity of these were withdrawn from the sale. These will be sold at a later date. Because of this, and because of a higher than expected proportion of small diamonds recovered during the ramp-up period, the result of this first sale cannot be taken as representative of the longer term pricing profile of the project. "This was the first introduction of Québec diamonds to the market and a price discovery exercise. We look forward to growing our sales profile over the next few months. The project’s production ramp-up continues to exceed our expectations, and three tender sales have been scheduled for the first quarter of 2017,” he added. As of November 15, 244,623 tonnes of ore had been processed for an attributable carat production of 261,353 carats, representing an average grade of 107 carats per hundred tonnes (cpht). Stornoway’s guidance for FY2016, based on the March 2016 mine plan, is 220,000 carats produced, at an average grade of 97 cpht. The higher grade achieved is attributable to a better than expected mix of ore available within the open pit for processing. The focus of the ramp-up remains the management and de-watering of processed kimberlite, the firm said.